Dr. David N. Sayah is a board-certified plastic surgeon dedicated to redefining natural beauty in the heart of Beverly Hills. Rediscover what it’s like to be catered to with our unique approach to quality patient care at Dr. Sayah's office. Research all the questions you may have but rest assured knowing we have taken care of everything else to get your procedure underway. Why Choose The Sayah Institute? If you want to enhance your natural beauty with plastic surgery in Beverly Hills, reach out to Dr. Sayah today. As a reconstructive and plastic surgeon for both men and women, Dr. Sayah takes a multidisciplinary approach to his practice. He provides a cutting-edge, boutique-like atmosphere for patients, helping them reach their ultimate in beauty. 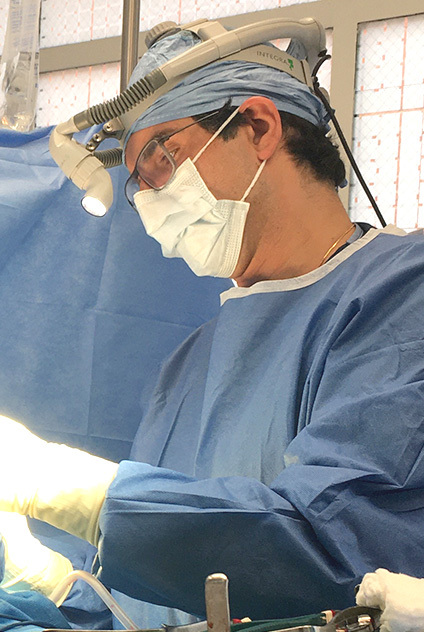 Over the years, Dr. Sayah has performed extensive research in the field of scar formation and wound healing, enabling him to provide better and more personalized care to patients. An oil painter and enthusiastic sculptor, Dr. Sayah is a true artist. He views plastic surgery and medicine as a combination of science and art, utilizing his skills to achieve optimal natural beauty. He has treated patients from around the world, earning a reputation of great prestige. Confident: We draw our confidence from the fact that we offer the highest-quality care available today. We have the world’s best doctor committed to our patients. Trustworthy: Patients can trust that they are completely cared for. We feel the utmost responsibility for our patients, always delivering safety, integrity and discretion. Caring: We genuinely care about each patient’s needs. Our care is based on a truly thorough understanding of each individual. Detailed: We see the small, hidden details, treating them with accuracy and genuine care. This special attention is at the core of our sophistication and elegance. "Dr. Sayah was so much more than I expected. I have been to many doctors in the field of aesthetics, from artist RNs to immensely experienced surgeons. None have come close to the skill, bedside manner, and creative eye of Dr. Sayah. I highly recommend him and will be returning." "Dr. Sayah and his staff came across as very caring and helpful. Definitely made me feel less anxious as we started the actual procedure. He was very gentle and kept making sure I was comfortable the whole time. I really liked that he was so attentive and removed my anxiety completely." "Unbelievable compassion, kindness, and attention to every detail from the professional staff to the easiest, most pleasant recovery from anesthesia ever with barely any pain and no 'hangover'. The doctor is lovely, attentive, generous, and talented. The results were far better than I could have imagined. I highly recommend Dr. Sayah and staff. I felt safe and confident by surgery time and couldn't be happier." You have several important decisions to make – your doctor, your procedure, whether or not you feel comfortable with you surgery at all. To make sure you are as informed as possible, we have anticipated dozens of questions and provided helpful answers. We offer financing through Proper Healthcare Lending and CareCredit to help our patients pay for their desired procedures without worry. The Sayah Institute also offers a number of seasonal specials - they change regularly, so ask about them at your consultation! Taking the first steps toward getting a confident, beautiful new you is incredibly exciting—and nerve-wracking! We have gathered all of the forms we’ll need from you so that you can be prepared and get your procedure underway in no time. Browse our gallery and learn what our existing patients already know—our Beverly Hills plastic surgery team is highly-skilled and dedicated to achieving the look that you want. We seek to emphasize what is beautiful about you!